We are excited to announce our second keynote speaker for PyCon MY 2018, Choong Yue Lin, founder of Women Who Code Singapore (psst, she’s Malaysian though). Yue Lin is experienced C coder for more than 10 year. She has now turned her attention to Python. She has conducted various Python Workshops, covering topics from Python basics to Data Scraping to Image Processing. She has been honing her skills in Machine Learning with Python. She currently also manages an Open Data project in Python. More updates here on program schedule and development sprint in the coming weeks! We are very honored to announce Khairil Yusof as our keynote for PyCon MY 2018! Khairil is the Programme Consultant of Sinar Project with broad experience in managing, developing and implementing innovative development programmes for government, international organizations and civil society, that directly or indirectly involve digital technologies with limited resources in politically or technically constrained environments. He has extensive cross-practice and cross-sector experience implementing programmes for UN agencies, governments and civil society in Asia-Pacific including digital rights, human rights, labour rights and environment. Also strong technical background in software development and systems administration with open source software, specifically FreeBSD and Linux operating systems, Python language and Plone CMS. Even though he is not as skilled in languages as his fellow team mates, but he primarily speaks Python, and a smattering of Go. In what little (if any) personal time left after spending time with his kids, he plays basketball, dabbles in gardening, playing keyboard and following what’s happening in the different fields of design. More updates here on speakers, program schedule and development sprint in the coming weeks! We have two announcements in this post: The first one is that unfortunately due to personal reasons, Wes McKinney has decided to withdraw from keynoting at our PyCon APAC conference this year. This is unfortunate, as we know many of us are looking forward for Wes’s talk but we hope everything will go fine for Wes. Nevertheless we still needed to find another keynote speaker to replace Wes, and so that brings us to the second announcement: We are now very much excited to announce that Luis Miguel Sanchez will be keynoting for our PyCon APAC 2017. Luis is the Founder of SGX Analytics, an NYC based Data Science/Data Strategy advisory firm. As Senior Data Strategist and Data Scientist, Luis specializes in designing and coding machine learning and artificial intelligence systems for business applications, for clients ranging from startups to hedge funds to Fortune 500 corporations. 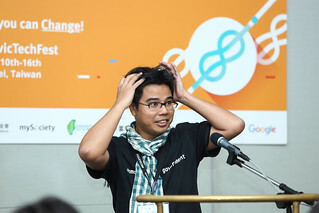 Prior to founding SGX, Luis was Founder and CEO of Ttwick, a semantic search startup which was eventually acquired by Elliott Management Associates. Previously, Luis held executive and senior quant positions at Barclays Capital, Lehman Brothers, Deutsche Bank and AIG, where he launched numerous financial products linked to exotic data sets. As an investment banker, he developed algorithmic trading applications and structured finance products using Python. Luis has been coding since 1983, and is passionate about data science, capital markets, insurance, and AI applied to creativity. He is the organizer of the NYC based Algorithmic Art Composition meetup group. Some of Luis’s original algorithmic music compositions (all coded in Python) can be found on the Amazon and iTunes stores, and Apple streaming. He is featured in the Data Science Handbook as one of the top 25 Data Scientists in the US. We’re delighted to give him hearty welcome to Kuala Lumpur for PyCon APAC and looking forward to seeing him soon. PyCon APAC is happening this year from 26 August to 27 August 2017 at Connexion@Nexus Bangsar, Kuala Lumpur, Malaysia. We are excited to announce our second keynote speaker for PyCon APAC 2017, Jessica McKellar, well known for her work in diversity and inclusion of women and minority groups in tech. Jessica is currently a founder and the CTO for an early-stage enterprise software startup. Previously, she was a founder and the VP of Engineering for a real-time collaboration startup acquired by Dropbox. Before that, she was a computer nerd at MIT who joined her friends at Ksplice, a company building a service for rebootless kernel updates on Linux that was acquired by Oracle. These diverse experiences earned her a place in the Forbes 30 under 30 class of 2017 for enterprise software. We hope to give a warm welcome to Jessica to Kuala Lumpur and introduce her to our vibrant APAC community! We’re excited to announce our second keynote speaker at PyCon MY 2016. Steve was in Singapore for the first PyCon APAC in 2010 and we’re delighted to welcome him to Kuala Lumpur this year for PyCon MY. Steve has made tremendous contribution to the Python community, from organizing the first PyCon in the US in Washington D.C in 2003 to being the Chairman for the PSF. PyCon MY 2016 is happening this year from 26 August 2016 to 28 August 2016 at International University of Malaya-Wales (IUMW), Kuala Lumpur, Malaysia. We’re excited to announce our first keynote speaker at PyCon MY 2016. Tarek is an engineering manager at Mozilla, using Python for most of his projects. He was involved a few years ago in helping fixing the packaging issues in Python itself, and has many crazy stories about that. He’s also authored several books and has developed a passion for running and playing trumpet. We’re delighted to give him hearty welcome to Kuala Lumpur this year and looking forward to seeing him at PyCon MY. More speakers will be announced soon.